On behalf of the staff, pupils and governors I would like to wish you a warm welcome to our federation. Fountains Earth C of E Primary, St Cuthbert's C of E Primary and our Federation Nursery provide the highest quality education for children aged 3 to 11. We are very proud of our schools and the rich and varied curriculum they offer. Both schools are very special places with a true family feel due to the small numbers on roll and a staff team that care deeply about the communities they serve. We have a strong Christian Ethos and high aspirations for all. 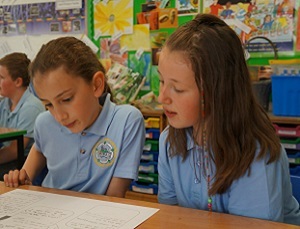 Our Motto 'Learning and Growing Together' provides the framework for education in our federation and I invite you to explore the ways in which our school aims underpin this motto for yourself. Both schools were inspected by Ofsted in 2017 and were judged as good with many key strengths including outstanding behaviour, personal development and welfare. The perfect environment in which to begin a child's learning journey. It is in the first years at school that a sense of fun and enjoyment shapes attitudes to learning for life. 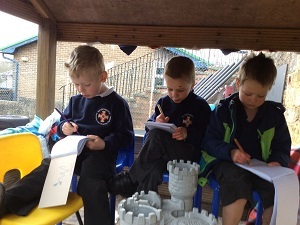 We are fortunate to have a federation Nursery where children can learn though play, both indoors and out, with an Early Years specialist qualified teacher and practitioner. Children can start in our nursery from the age of three. Nidderdale is a beautiful place to learn, we are surrounded by an area of Outstanding Natural Beauty and we capitalise on all that our natural surroundings have to offer. A visit to our schools is the ideal way to discover this for yourself. You would be most welcome! Please contact the school office. If you require free paper copies of any or the information provided on this website or a translation of the text / braille / large print we will be happy to help.